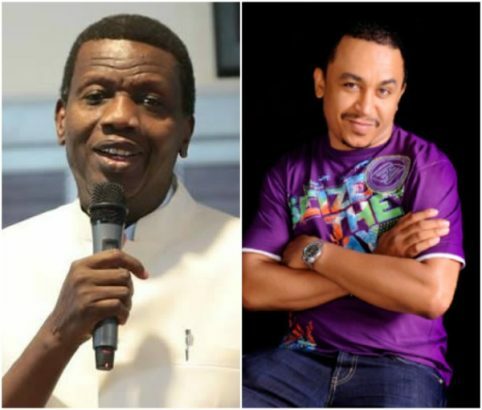 Controversial OAP, Daddy Freeze has replied the General Overseer of The Redeemed Christian Church of God, Pastor Enoch Adeboye’s response to his teachings on tithing. ALSO READ: “This is fuckery of the highest order” — Daddy Freeze reacts to viral video which shows RCCG members worshiping the chair of their General Overseer. If you permit me, I will like to humbly seize this opportunity to raise some questions I consider valid. Why did you say in a viral video, that even a mad person knows that you don’t drink alcohol in a church? Although from a sentimental point of view, your premise might seem right, but is it really what the Bible teaches us? The book of Deuteronomy 14:22-26, when speaking about paying tithes, instructs us to take our tithe to the place the LORD has chosen, and if the place is too far, we are instructed to sell the portion of our tithe and use it to buy anything our heart desires, listing alcohol as one of the items that could be bought with our tithe. The King James Version says ‘strong drink’, the Holmans Bible says ‘beer’ while the new international version specifies ‘fermented drink’. All the above are forms of alcohol. So if you say even a mad person knows that you don’t drink alcohol in church, are you suggesting that the modern day church is not the ‘place the LORD has chosen for tithe to be paid and for his name to be worshiped’ as described in the book of Deuteronomy, or are you implying that the Bible was written by lunatics, or are you perhaps doubting God’s sanity? Another issue I’ll be grateful if you can throw some light upon, is where our first pastors and Daddy GOs, the 12 disciples, collected tithes, or where they instructed the believers who took over the headship of the church from them, to collect tithe. I humbly suggest, that you kindly address the above questions with biblical evidence, as against whipping up sentiment, or employing what many preachers use, and in my opinion, I consider; ’emotional tactics’. As the Berean Christian that I am, before accepting any doctrine, I research the scriptures to see if it aligns accordingly, with the word of God. Nothing can be done against the truth dear Daddy Freeze. The undesirable interpretation of scriptures and misleading of the faint-hearted Christians and your solicited attention from reference disciples of our Lord Jesus Christ and the Leaders of the Church of God made me write to show you your position and why you will never get the honour of prevailing against the Church as you've positioned yourself the gate of hell against church of Nigeria. I will not drag issue of tithes with you because the secret and mystery of the kingdom is only meant for children why it's remain parable unto outcasts like you. My message to you is simple. Early part of Mathew chapter 4 am sure you know the letter of the scripture give full account of what devil had done in the past using the word of God to fight Jesus Christ himself. I wonder if you Daddy Freeze actually think devil fabricated the scripture used against Jesus by himself or that Jesus disobey, disapproved or act against potent and true word of God which David and some people experienced in the scriptures before Satan and Jesus encounter. Am sure scholar like you can search out the detail of what I meant. Let it be know to you as Jesus told the devil, No matter the number of verses of the bible you know and speak when you're possessed by the spirit of Antichrist. There are more potent word of God to shame you just like the devil was shamed by response of Jesus. I will give you similar words in my own simple way STOP FIGHTING THE LORD YOUR GOD. You cannot hold God to ransom by His word. To the faint hearted Christians who Daddy Freeze has helped to save their missing 10% I say congratulations. What a huge restoration for you. Enjoy the world why it last. God never need your money neither will the gospel message stop until the whole world hear because it was powered by prophecy of Jesus and not money. Just note robbers don't have heavenly inheritance and withdrawal of your tithes in exchange for heavenly inheritance is not a bad idea. I trust you agree with me. What a great bargain. My point is simple; Is Daddy Freeze responsible for your action? No. Men are tempted by the lust in their own eyes. You have long waited for this opportunity. Keep this in mind faint hearted, daddy Freeze is just confused in my own divine opinion but he can boldly say he studied the scriptures. What about you. Can you just for once behave like men of Bereau who after they heard Paul went ahead to search scriptures to confirm if those things they were told are true. If you have ever done that, then neither your Pastor nor Daddy Freeze will be reason for the knowledge of God you have and how much of God's word you will obey. I want to stop here, but let me say the church is not perfect. There are leadership error everywhere but correction is Holy Spirit role and not man's responsibility. I never will bored you with letters of the scripture because its not what you need now. But a spiritual opening of eyes so that with much studies you will still not remain blind. Bible is not meant for the eyes you have now. I pray your eyes will open then the war you embarked upon like Saul of Tasus against Jesus will stop. Every thing you wrote is what is called - verbalism. The whole belief about tithing is at the root of all the evil that is ruining the Christendom now. When Jesus counseled Christians against serving God and MAMON at the same time, he knew precisely what he was saving us from. It was from the situation of Christendom now, where we have too many churches growing and multiplying side by side with evil and humanity is not being saved. The wrong understanding of this money issue is at the foundation of disobedience against Jesus' heart rending prayer that all his people will be one Shepherd one flock. He didn't just stop at praying, He established it practically when he said - Simon Bajonas, You are Peter and upon this rock I will build my church, not Churches. It was to this that he promised that the gate of hell shall not prevail against, and not to the multiplicity of divisions of churches basically divided on basis of money disagreements. Wake up my people. It is not for nothing that the Catholic Church does not make tithing an issue because the church listen to Jesus counsel to avoid worship of Manon. You just ended up rambling, you didn't say anything, Daddy freeze only challenged people to interpret Deutronomy verses concerning tithe & if you think you are saner than God, tell us that God didn't mean that & explain what God exactly meant. It so unfortunate that the so called men of God have become God themselves & making everyone who interprets differently from a preferred sermon a seeming devil. Whereas the Bible said "nothing shall be added to or removed from the Bible, before our very knowledge, things are add & removed. The standard of the Christians is the new testament, why are we now holding strong to the part of the old tastament involving money while the other parts are considered unchristian, why the double standard, since we are Christians, Jesus Christ & Paul never preached about tithe nor demanded the early churches to pay tithe, so why are those who claim to be following Jesus Christ preaching what Jesus never preached?, again the priests & levites whom the pastors & men of God in this current dispensation represent were mandated by God never to partake in earthly wealth or possessions except the 10% of the 10% for their up keeps only to that extent, why are we now having men of God who owns mansions & estates against the commandment of God to the levites that was the reason God demanded tithe. We must also ask if the levites are the same with the disciples, & again were the tithe demanded from the nation of Israel or individuals, does the church now represent the nation of Israel, is there any spiritual manifestation that shows the churches of Jesus have given the status of the nation of Israel to whom the tithe was mandated, if the answer is yes, who are the kings, the priests, the levites & the people & which church is obeying the order of administration of the tithe?, please don't tell us it's none of our business because from the beginning it has been the business of all the israelites to manage the administration of the tithe. Well-done bro have buttressed all I was going to say here.Let the blind religious zombies continue to follow the teachings of these thieves. I like to warn all of you, be very careful at the word you speak. Don't forget that every word you speak shall stand against you on the day of judgment. Bible also said you are ensnared by the word of your mouth. My little advice is if you think paying Tithe is wrong don't pay, its never a force, nobody is forcing you to pay, when the owner of heaven and shall come to take his people may Tithe not be an hindrance to make heaven. Pls stop abusing men of God, stop calling them different name, their judgment is not in your hand. My resolve on the issue of Tithe is: It is God command and as a true child of God I must obey my father instructions or commands. Pls let's focus on how we will make it to heaven and stop wasting time on how someone interpreted the Bible. God bless you all. You too also fell victim of ur our words...nobody abuse anyone why are u passing judgment already when my bible said thou shalt not judge. Deuteronomy 14:22-26, is also God command then explain it, or s it to hard to explain??? Pls don't used "u need holy Spirit to understand bible" on this. These pastors are criminals. I remember vividly early this year when I had no job, no means of survival nor what so ever. My so called pastor Albert Akapo of RCCG success parish along Badagry express way almost destroyed my home. He even assisted my wife with money to rent another apartment while I was on transit and at the end he backed it up with the Bible said. I was a lonely man till March 2017 when God used one Mr Babatunde Racheed to help secure a good job in his office. The same pastor refused to sign my guarantors form for me, this is something an imaam (from the Islamic faith) did without having a second thought. Immediately after resumption, my supposed pastor was so quick to open his Bible to malachy 10:10 stressing the need for me to pay my tithe regularly. For the first time I was a to know that tithing is a scam. I then asked my pastor, presume no one signed my form for me just like you refused to, how do you expect me to pay the tithe you are talking about now ? He said, "brother Raymond God has a reason for everything, just try him and see if he will not open the window of heaven and pour out his blessings". I looked at him and I walked away. Your story shocked me. Where is the love? Oboy you are just unidirectional in your thinking. FREEZE has done nothing wrong. The point he raised is also very important as lots of pastors are using it to siphon their followers. Imagine a church where 80% of its members cannot afford the church secondary school and university. Where a pastor has more than 3private jet, moving around with body guards and many more. My dear better ask yourself if this was common to the disciples of old. My candid advice is be wise and don't be decisived by way of psychological influence on doling out resource you will use to better your life.Tithe to God must be done from the heart without any expectation. You don't need to give to God because you want him to bless or uplift you (wrong motive) rather you give to God because you are interested in financing missionary work or helping the needy.In this manner the reward will be bountiful(Because he waters those who waters) . I respect daddy Adeboye but in my opinion his approach in handling it was wrong because their was nothing to learn from the shot clip I listened to rather than an inference that the message originator was a drunkard. Thus should not be Taking serious. If Christianity cannot answer simple logical questions, it means then it is illogical. Freeze has asked very important questions, but fantic christian fundamentalists would want to attack him instead of telling saying what they understand if they ever do on the subject. Never believe, always seek to know and if anything makes no sense, never take it, whether from a pope, a prophet, or the gods. Tithe, offering,first fruit,lets go a fishing donation, seed and many others are all forms of giving which happen in all churches. They are all meant for the church and Tithing is not something that supposed to be subjected to compulsion because many are giving it without love. My own point is that tithe should not be forced on people and also you give tithe not according to percentage but according to how place it in your heart. It usually pisses me off when pastors are saying pay your tithe so that things will not be tight for you. Why will it be tight when Im giving to the poor and the needy? @Tony,you have said nothing after taking my precious time to read through. U have blinded your mind towards understanding @linus uzoma, let he that has ears let him hear d word Of God cannot b compromised. I believe in Tithing...... As God helping me I will not stop paying it.. ..
@Tony, let me first address ur misuse of words. Devil never used d scripture against Christ, he only tried using it to deceive him. Noted. Daddy frees only saw something contrary to what d pastor teaches and that is what he seeks clarification on. He is not conderming d pastors teaching, plz not that.. Remember, Christ never taught his descipea anything contrary to the scripture, all his teaching are in line with the scripture. Please anyone writing hear should please try to read and understand daddy freez point before saying anything. D bible also said, "bring in ur tithe into my house that there may be good in my house. I don't think this food is for only d pastor, but for everyone in the house of God. If d pastor has food already, I then think the food is ment for the hungry not for pastor that has more than enough. The fact is, daddy freez seeks for clarification not insult by some people here who claim to b Christians but speaks aggressively. 11 She said, No man, Lord. And Jesus said unto her, Neither do I condemn thee: go, and sin no more. John 8:1-11. Like the Scribes and Pharisees, many Christians like Mr Freeze, reads the Bible to prove lustful points, either to disdain God and His anointed or to mislead people of like mind. They were certainly waiting for Jesus to quote scriptures for them, but while they waited like Mr Freeze is waiting; Jesus stooped low to write to appeal to their conscience, proving their motive. Though I doubt if Mr Freeze is a Christian. Because I believe a Christian faith that disobeys God's word is a dead faith. Faith without a complete obedience to the word of God is a dead faith. Let me quickly say that the truth is obvious and straight, it is universal and it doesn't have one sided face. Why I will say the bone of contention in the light of tithe is all about NEW TESTAMENT VIEW, if it was under old testament there won't have been any discuss. People started to challenge tithe today because they have come to believe that we are now under new testament practice. On this note the place coated by daddy freezer (sorry if I miss the name) didn't apply to present church practice. Coming to what bible says in line with tithe as related to New Testament practice, there are two faces of tithing before the coming of christ. 1. Tithe paid by Abram to king of Salem Genesis 14:17-20 and bible says in Heb 7:1-end that the king was Jesus christ Himself. Another point there is the man that receive this tithe is a self sufficient man, that bible of genesis said he came to meet Abraham with a gift in his hand "And Melchizedek king of Salem brought forth bread and wine: and he was the priest of the most high God." Genesis 14:18. Obviously, he didn't need that tithe to survive. 2. The second part of this is that of Moses Law that introduced types of tithing, such that we can't name them all. You will agree with me that the Moses Law tithe has come to an end under the new covenant and this includes Malachi 3 that we coat all the time, it speaks of Moses Tithing. When we get to Luke Jesus shown us that you ought to pay tithe “What sorrow awaits you Pharisees! For you are careful to tithe even the tiniest income from your herb gardens, but you ignore justice and the love of God. You should tithe, yes, but do not neglect the more important things" Luke 11:42. But the question here is to who? Since we agreed to the fact that old testament was not ended in part but in totality including it tithing system. Therefore we need to revisit the first order of tithing. Abraham paying to melkizedech who was Jesus christ. 2. They can pay it to any where as they can be lead by the Holy Spirit. 3. Since the money should be paid to God not church God can lead u to give it to anybody any organisation, your local church, another ministry and or public, societal project. 5. You can't use the money to promote ungodly acts claiming you are lead to do so, God can't cotradict Himself. Personal testimony : Someone saved me of droping out of school by donating his tithe to me for my school fees. Such men I respect them. I will be willing to answer any question, the ones I don't know I wíll sincerely say I don't know it. Tithes were paid on farm produce in all Bible references. Wage earners didn't pay tithes in the Bible. The Pharisees you quoted are under the law and we are no longer under the law. This was how early Christians argued that gentiles that accepted Christ must be circumcised. Hebrews 7 handled thus tithing issue perfectly. Don't nitpick, read it all in context. The law covenant was not perfect and it led to death. We have life through Christ. See what Hebrews 7:7 says about those that collect tithe. By the time you read Heb.7:18, where it says the law that commanded tithing has been set aside, if you still don't believe, then probably you need to rewrite the Bible. A good question is that under the new law, what replaced tithes? Read 2 Cor. 9 7-15. This issue is between what we read in the Bible and what the pastor says. And do not believe anyone that says you need special powers to know and understand what is written in the Bible, that's a lie, God wants you to know him so that you can obey him. No one has special access to God, he is your father and my father so if you draw close to God, he will draw close to you. Under the law i.e. in the old testament, not paying tithe is a sin because it's a law. Does that law still exist? No. Just as the law on circumcision and even keeping frills at the edge of the clothes of the Israelites. Those are the features of the law. If we still insist on doing the things under the law, then Christ's death is in vain. Why then did Christ chastise the Pharisees for imposing unnecessary burden on people? You all to read Mathew 23:23, you shall find where Christ support tithing in addition to abiding to other laws of God. Don't be deceived, keep tithing...to those who know the effect. What you quoted above is not supporting tithing, rather, Jesus was letting the scribes and the pharisees know that it is far better to give justice to the oppressed and show mercy to the poor than to pay tithe. Meanwhile, in our days, who are the pharisees and the scribes of today? They are all those who occupy the chair of Moses in the churches (The pastors). Are you saying Jesus that came with a new law is saying we should adhere to the old law? Do not grieve the spirit and ascribe to Jesus what he did not say. That kind of sin has no forgiveness either in this world or the one to come. On this issue of tithing, Am totally in support of Daddy Freeze because many Christians are confused about it in the first place and it is the responsibility of true men of God to enlighten the Christians about it but unfortunately, many Pastors would rather crucify Daddy Freeze because of what you and I know and ask the congregation to obey the law forgetting the fact that the greatest commandment Jesus gave is "love the lord your God and your neighbor as thy self". @Mr (Pst.) Tony, I believe you truly understand the fundamentals of tithing, I have this question for you. Imaging a government worker who earns a total of N160,000 as monthly salary with breakdown as follows; Transportation, housing, tax, basic salary, et.c. is he expected to pay tithe from the overall salary or from the basic salary? Fellow Christians give what belongs to God to him (not only by giving your tithe to your pastors), but serve God in your neighbors. Confused brother Tony.You read but you don't understand. Imagine davido paying a tithe of 30billion into daddy GO, I'm sure his songs will be sang in the chior? Tithe is a scam. Just do good, be a philanthropist, the blessings will flow that's what multiplies my wealth. Not giving my money to some sweet mouth pastors. We Nigerians are too sentimental when it comes to religious issues and when confronted with facts we tends to deviates and not attend to it.I am not a xtian though but I know for a fact that there is a portion in the bible that says "seek the truth and the truth shall set you free". My humble suggestion to all is for each and every1 to seek this truth n ye shall find it.We had allowed religion make us loose our sense of reasoning instead of allowing it open our eyes and increase our spirituality. Truly, having read all comments, abuse is the weapon of the vulgar. Christians ought to be eager to defend their faith with Bible references and not insults and abuses. Another inference I can deduce is that when you want to hide something from a black man, put it in a book. Do it and do it right, then you can come back to tell whether or not its right. I see it as just a normal law as simple as the law of gravity, e.g throw a stone up and it will definitely come back to you, so whatever you throw up either in the form of a stone or your money to God, its definitely coming back to you. Its just as simple as that. I had a dream, in that dream an angel of God came with a record book in her hand, she was going through people 's file. It got to my sister's book of record, the whole column was filed up, every account was given, some is 80% some 99% and so on. So it got to my turn, the angel was going thru the book of record, every details of my behaviour was written down. To my greatest surprise every column was filed meaning that it was giving account of, accept for my tithe column. Lol it was blank. Like no account of me paying tithe was recorded. To be franked I have not paid tithe ever. I woke up with so much bitterness. I ask God that I tot he sees and knows everything. He knew I don't have a job or work yet. So why this dream. Things are hard so please don't do this to me, where will I get the money for tithe.but I guess the ways of the Lord is not the ways of man. Pls I let's practice what the bible says. If you can't pay to your pastors or rev or father, Pls pay it to the less privilege, fatherless, widows and someone in need or even to the poor man in your street. God will see us through. Amen. Pls no offence. My candid opinion. ...and thou shalt eat there before the Lord thy God"
The latter of your quotation from Deuteronomy need to be understood also. The book of Malachy said "...that there be meat in the house of the Lord". So tithe should be paid in the church to a priest of the Most high and is a command so that there be meat in the house of the Lord. I have seen and experience the benefits of tithe paying! You can give a try and endeavor to do it correctly not unto man or to showcase yourself. Ask the Holy spirit to guide you in your study of the Bible for our own knowledge and understanding will never be sufficient to understand the mysteries of God's word. We are all entitled to our opinions, but not to the opinion of the holy spirit in the things of God. Please, note that there are lots of false pastors, bishops, etc who lack the knowledge and relationship of the Holy spirit but choose to raise unnecessary issues on the things of God based on their greed, level of understanding, relationship with God, etc. If you choose not to pay your tithe, please, don't mislead others. For young believers, you have the option of asking the Holy spirit to guide you in understanding the word of God and follow same and not to follow the wisdom of men. Dear Freeze, if you have quoted a passage from earlier books maybe it may be thought of. This is because Moses at this time was not happy with the children of Israel because they caused the anger that made him go against the counsel of God. However, on this passage, my major concern is the word LUST Which is not one of the fruits of the Holy Spirit. The bible says 'whatever you lust after'for me a statement to a hard heartened fellow who has defiled several advice. Can anybody give his loving child money and tell him buy whatever your desire. Tithes is a choice though a commandment from God. If you don't want to pay pls dont it will not make God richer or poorer. If you want God to rebuke devourer for your sake then pay. As to the issue of the disciples not collecting tithes, I believe one of offerings they collected includes tithe 1Cor16:1-3 and our Lord Jesus never condemned payment of tithes. Math 23:23 He only said the emphasis should not be on it. Moreover, why do find it so easy to condemn Men of God when the bible asked us not to do so? Jide 1:8-10 pls let us desist from this.